I was forced into some downtime this season, and I spent a lot of it on the couch. The good news about that? I got to actually enjoy links and things my friends sent or put up on Facebook. Long story short, I spent lots of time laughing. And they say laughter is the best medicine. Here are the five funniest ones. Enjoy them, and Merry Christmas! This 16-minute film about Christmas trees rising up and taking revenge won all kinds of awards at some of the most prestigious film festivals in the world, and rightly so. It’s creepy, it’s tongue-in-cheek…and it’s hilarious (fair warning, it’s a little gory toward the end). If you’re a fan of “killer” anything films, then don’t miss this. Talking Kitty Cat – What’s Christmas? Steve Cash tries to explain the concept of Christmas to his talking cats—Sylvester who’s rude, and Gibson, who’s afraid of everything. I think the funniest thing in this is Sylvester the cat attacking the tree and screaming “die.” But you decide! The Orlando Sentinel asked readers to send in photos of their children crying, screaming, begging, and pleading with their parents to save them from their first encounter with Santa Claus. They get funnier as they go. Have a glass of wine with this one. I’d love to put a sample photo here, but I’d be violating copyright. Just head over there. Whether you have children or not, you’ll find this hilarious. I promise. This 1992 short is the film Matt Stone and Trey Parker circulated to networks to try to get them to pick up what we know now as South Park. The funniest moments for me are in the beginning when they’re putting together the snowman, but the whole thing is pretty funny. Fair warning—strong language. With so many families facing financial horror for Holidays, Toys for Tots needs more donations than ever—and Toys for Tots Horror Style is offering an incentive. Participate in Toys for Tots Horror Style, and your name will be entered into a drawing to win an entire library of horror novels, short story collections, magazine, music and other goodies donated by horror writers and publishers (you can see a list of what’s in the package below—I’ve donated a copy of Skeletons in the Swimmin’ Hole—Tales from Haunted Disney World to the kitty). Asking what to gift the Edgar Allan Poe fan who has everything is like asking what to gift the Disney Parks collector who has everything (hint: Skeletons in the Swimmin’ Hole—Tales from Haunted Disney World): How do you know what he has? What he doesn’t? What would be absolutely perfect and is so unique he’d never think it even existed? This year, Poe seems to be haunting more Christmas lists than in the past—probably since the Baltimore Poe House has lost its funding and the attention has brought him back to the forefront of everyone’s awareness. 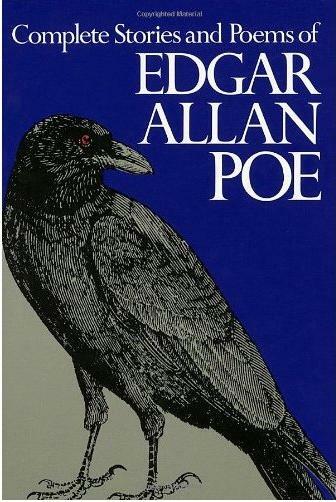 Since I’ve quite an extensive Poe collection, I thought I’d help out a few friends who have no clue what to get the Poe fans—or novices—on their lists. I’m confident this year’s picks are bound to boost any Poe lover’s bounty. 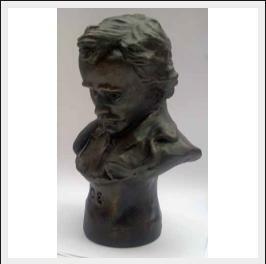 I’m sure any Poe fan would agree this is better than a “pallid bust of Pallas.” This replica of Zolnay’s 1898 bust stands eight inches tall and proceeds benefit thePoeMuseuminRichmond,Virginia. 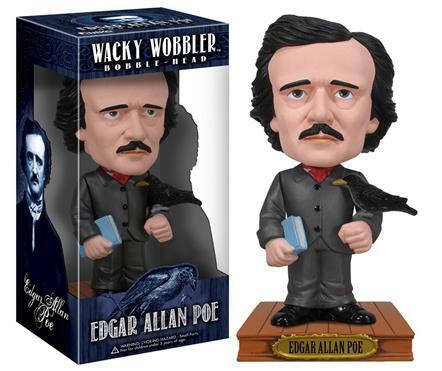 There are many Poe “Bobble Heads” out there, but this one, in my opinion, is the highest quality for the money—even the artwork on the box is cool. I discovered mine at Rock and Shock in Worcester, Mass., earlier this year, as it seems to be the most popular model sold at horror and writing cons. This unisex bag is guaranteed to attract a few comments—especially if using it the morning after a night on the town. While not as large as I’d like, I find it’s perfect for a one-nighter, and the quality’s pretty good, too. My only objection is the price—I think it should probably be half the cost—but hey, sometimes you’ve just got to have what you’ve got to have. 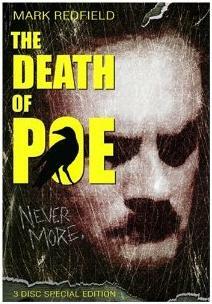 And I can almost guarantee that Poe fan you know doesn’t have it…yet. 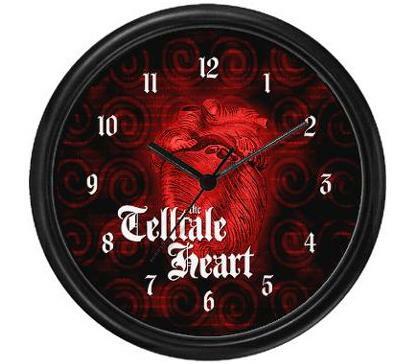 There’s nothing more clever—or creepy—than a “Tell-Tale Heart”-themed clock. If I don’t have my copy of the story on hand, it’s easy enough for me to turn out the lights, fire up a candle…and listen to the damn thing tick. 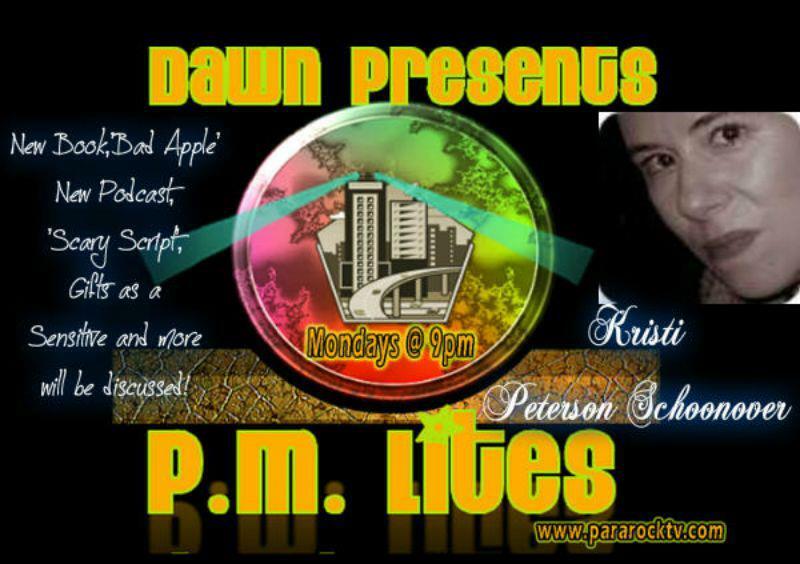 Shivers! 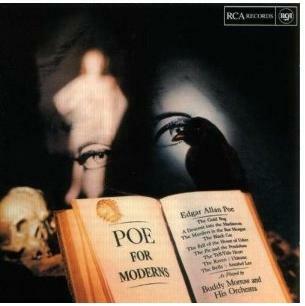 Any Poe lover shouldn’t be without this rare, out-of-print CD/Vinyl album. (Wanna laugh? In our house we have two copies—on VINYL). Buddy Morrow’s odd, interesting blend of 1960s jazz and Poe’s works should have that fan of yours sipping martinis in no time. The Beatnik-esque version of “Ulalume” happens to be my favorite, although I can never resist “The Raven”—it sounds like a 1960’s “let’s go to the concession stand” drive-in ad. Priceless. 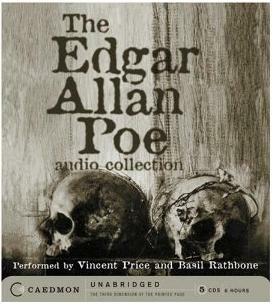 These unabridged tales and poems read by Basil Rathbone and Vincent Price are available in CD and MP3; the sound quality is wonderful on the CDs we own (I can’t speak for the MP3), but either format will give you the privilege of hearing these masters lend their talents to the likes of “The Tell-Tale Heart,” “The Black Cat,” and more. What I especially love about this set? It contains the less-common pieces—like “Morella,” “Eldorado,” “The Facts in the Case of M. Valdemar,” and “The City by the Sea.” A fine accompaniment to a glass of Amontillado. While this isn’t the much-touted multi-volume Mabbot text that scholars consider “the one to own,” this Doubleday 1984 edition was its 39th printing and is perfect for anyone who doesn’t have a complete works. I have at least four or five different printings of this edition (I think the earliest version of this that I have dates to the 1960s–it seems they update only the covers, not the text), and it’s always been my top choice for gifting: it’s a reasonable size and the pieces are grouped by such headings as The Poems, Humor and Satire or Tales of Mystery and Horror, so it’s easy to match mood. It’s available in Kindle, Hardcover, and Paperback. Amazon.com, ranging in price from $.99(Kindle) to $26.99 (Collector). Brand new Hardcovers run $16.49. 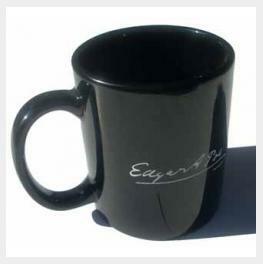 Poe’s Signature Coffee Mug looks great on any breakfast table or desk, and if your fan’s a writer—especially of horror—who’s to say chugging some coffee out of it while at work won’t bring a little extra boost? 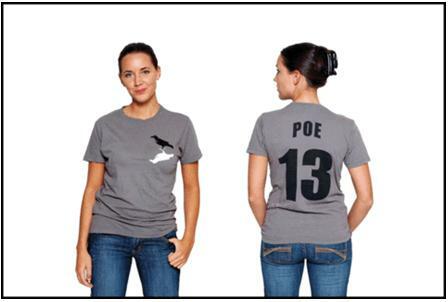 I own several Poe T-shirts, and while I don’t have this one yet, it’s definitely on my list. If your fan’s on “Team Poe,” then he should certainly be in uniform. 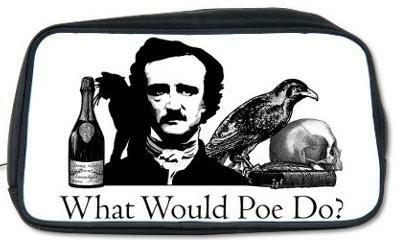 LIKE POE’S WORK? 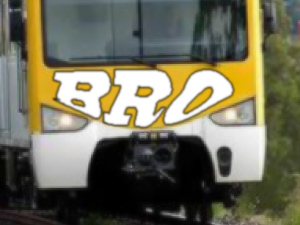 CHECK OUT MATT HOFFMAN’S “BRO” NOW UP AT READ SHORT FICTION! If I make any comments about this story, it will spoil it. What I will say is that if you enjoyed Poe’s “William Wilson,” and the last scene in Drag Me to Hell terrified you, then you’ll get chills reading this. If you’d care to know why I loved this story so much, my comments appear at the end of the story.